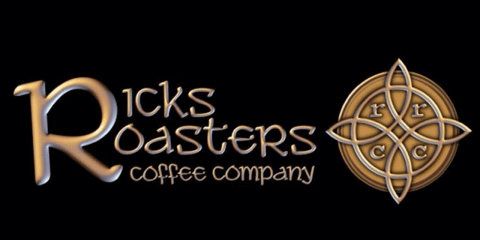 The Art of Making "Unscared Coffee"
A pistol that comes ready for most shooters right out of the box, with plenty of options, is a rare find. The Honor Guard from Honor Defense is one of these rare finds. 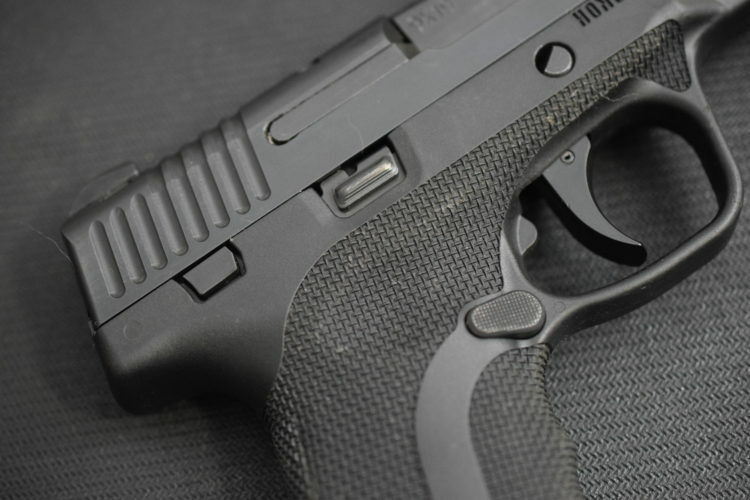 The profile of the Honor Guard resembles the profile of other subcompact pistols like the M&P Shield, but beyond that, the design is night and day different. I will also mention that the shooting experience is also much different, thanks to the design of some of the internal components. When you get a chance to look the entire pistol over, you can see how different the design really is. I would go as far as to say that the Honor Defense pistol design is revolutionary. 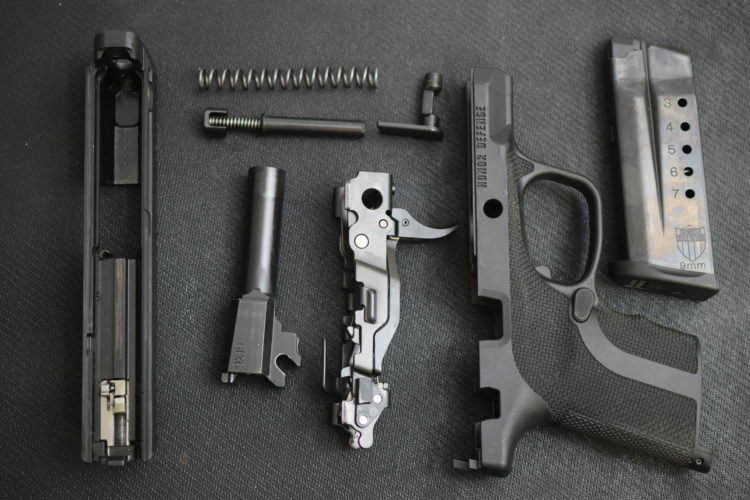 The idea of having a chassis system in single stack pistols is not necessarily new, but the ability to change the barrel length and quickly change the pistol is new. The ambidextrous controls, the quick change chassis system, and the nicely textured grip are just a few examples of what sets this pistol apart from other pistols in its size class. The Honor Defense line of pistols typically get brushed off as just being a clone of a more popular and senior pistol design. If you look at the photo above, you will see that the Honor Guard is definitely different and unique, despite the appearance of being a clone of another pistol. For this article, I want to go over the outside features and overall design of the pistol and discuss the reason for them being the way they are. 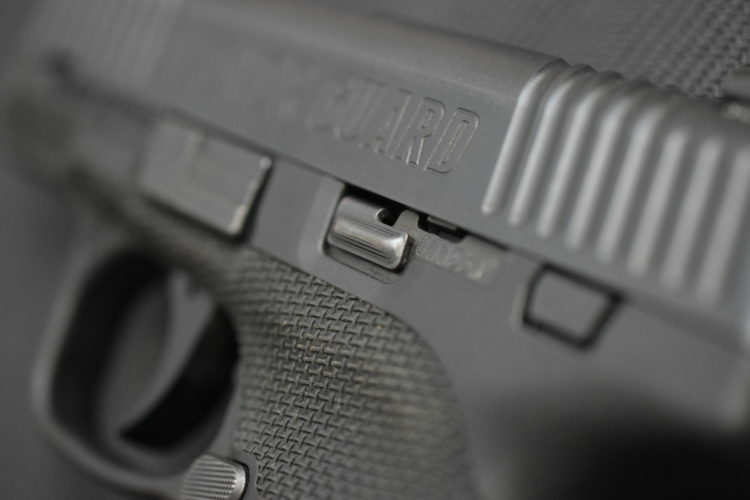 First thing I want to talk about is the profile of the Honor Guard and why it resembles the M&P Shield and other popular single stack pistols. When Honor Defense was designing their pistol, they spent a good amount of time asking what kind of features people would like to see on a single stack carry pistol. 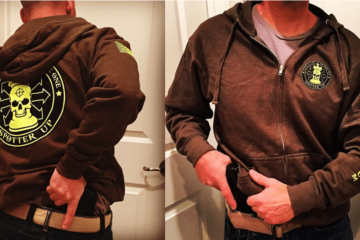 They found that there were several designs out there that already had good support as far as having holsters available. Taking after the general profile of the more popular designs like M&P Shield and Taurus PT111 was pretty much a no-brainer. 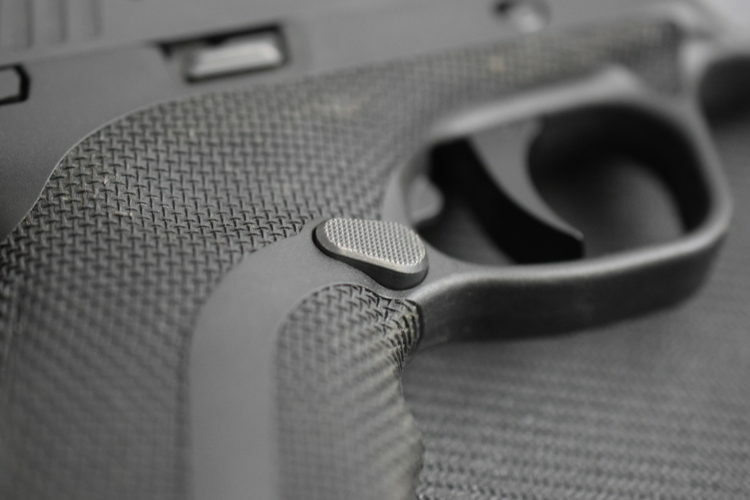 Why bother creating an entirely new gun that will not fit in existing holsters when you could use the rough profile of a popular pistol and automatically have holsters available? Critics of this reasoning should remember that CZ took the profile of the Glock 19 in their P10C recently because of the exact same thing. Aside from the profile, the Honor Guard is completely different in features and overall design. I can not quite fault them for using the profile of other popular pistols, but I will say that it can lead people to read the book by the cover. I did this myself when I first saw the pistol, which is very regrettable. If you actually measure the Honor Guard to The M&P Shield and others, I think you will find that the measurements don’t quite match up. The Honor Guard pistols are generally thicker and slightly heavier. But this doesn’t quite stop them from fitting into a holster designed for the Taurus PT111 and S&W Shield, which was the point. All that would be needed is to adjust the tightness of the kydex holster in order to get it to fit. 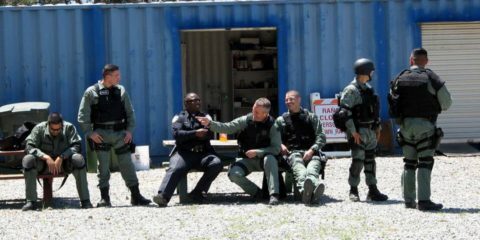 The grip of the Honor Guard is one of the most notable parts of the pistol. 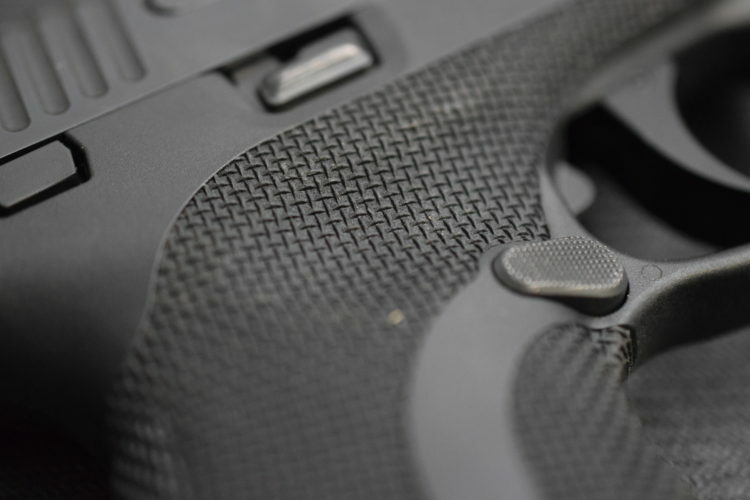 The grip texture is very different from what you will find on most single stack pistols. 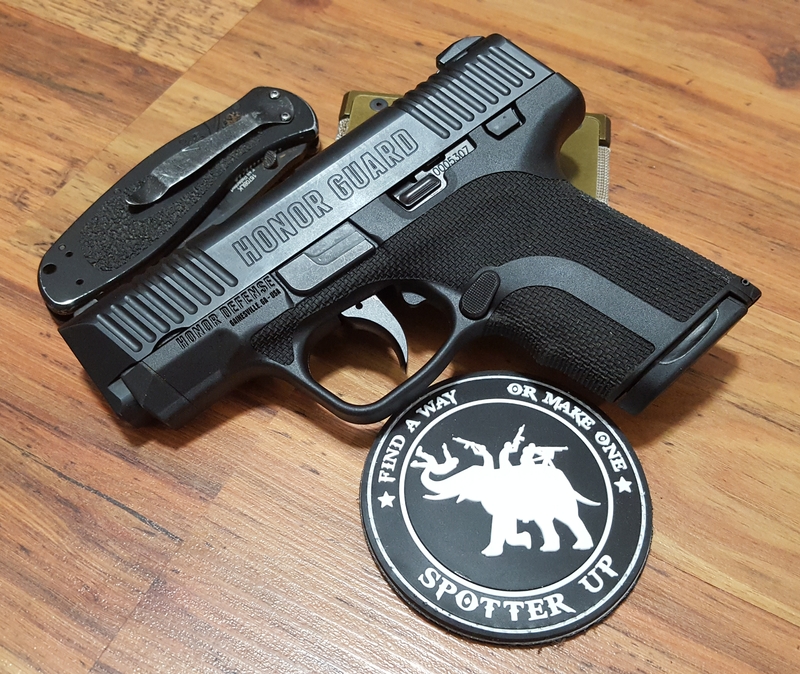 Some of the grips on single stack pistols are smooth, like the M&P Shield, while others like the Kahr CM9 are so aggressive that it is uncomfortable to shoot for most people. 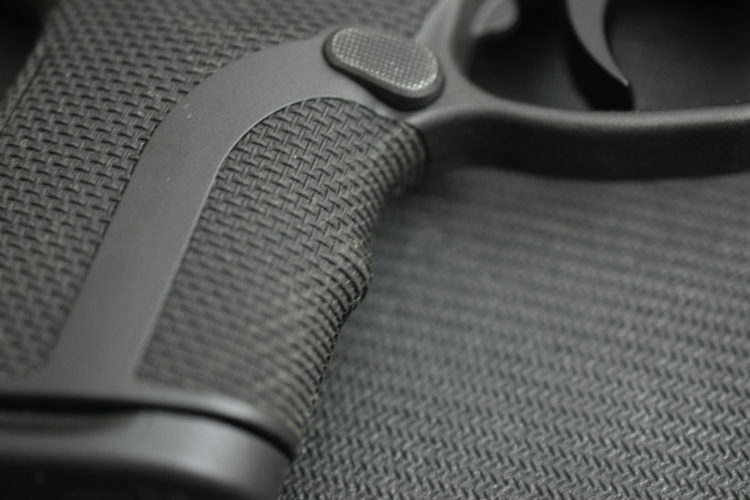 Honor Defense was very careful about making the grip attractive to the majority of shooters. The pattern had to be perfect and the grip size had to offer options as well. This is why Honor Defense designed the grip with interchangeable backstraps. 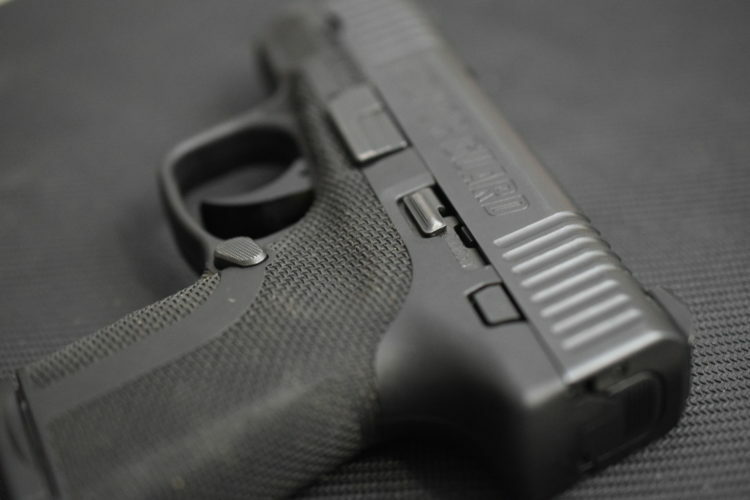 There are only two backstraps to choose from for this pistol, flush or with a slight hump. 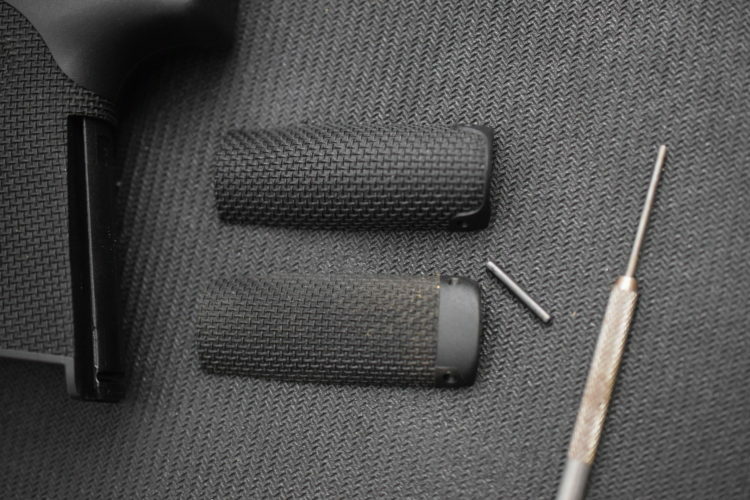 The latter comes on the pistol right out of the box, but it is easy to push out the roll pin and change the backstrap. I found the flat backstrap to be the best option for me when it comes to getting the pistol to point naturally and comfortably. One other thing about the grip that I have grown to like is the one finger groove on the front of the grip. 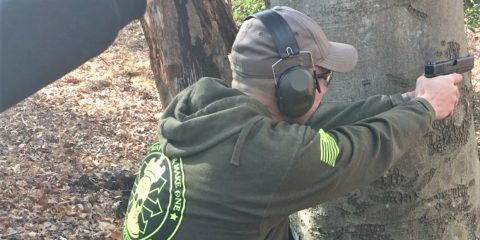 This single groove seems to help force my middle finger to stay high on the grip under the trigger guard when shooting. This is very important if I intend to use this pistol with sweaty hands, which is a common thing for me. This may be redundant to add a finger groove, but it seems to help give a secure feeling to my grip when shooting and prevent my fingers from creeping down the grip. The Honor Guard pistols are a bit rare in that they feature ambidextrous controls. All the controls are either recessed and out of the way in order to prevent snagging or accidentally actuating them while shooting. My pistol does not have a manual safety, but if it did, it would be about as recessed as the slide catches on both sides. The slide catches on the Honor Guard are often reported to be useless when you attempt to use them to release the slide. To add to that, I have found that the right side slide catch is barely functional if you attempt to use it to release the slide. The slide catches are so recessed and are so smooth that they are hard to get a hold of if you wanted to use them to release the slide. 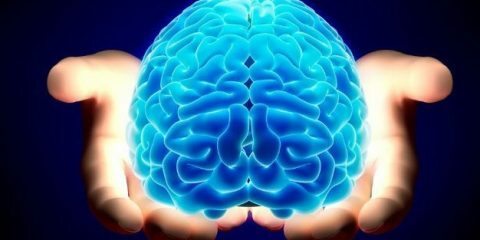 Even manually locking the slide back can be a challenge if you are not being deliberate and forceful. But the reality is that the slide catches are called that for a reason. They are flush and snag-free because their only purpose is to lock the slide to the rear. The magazine releases on both sides are almond shaped and flat with a nice dotted texture on the faces of the buttons. The buttons protrude just enough to allow you to use them, but not enough to get in the way. When using them, the magazines eject with a good amount of force, which is nice and reassuring when you consider that most guns have issues ejecting their magazines when they are dirty. On my pistol, I found the left side magazine release to be a pain to use, so I tend to use the right side magazine release using my middle finger. I do not imagine it is this way on all the pistols, but with mine this is something I have observed. 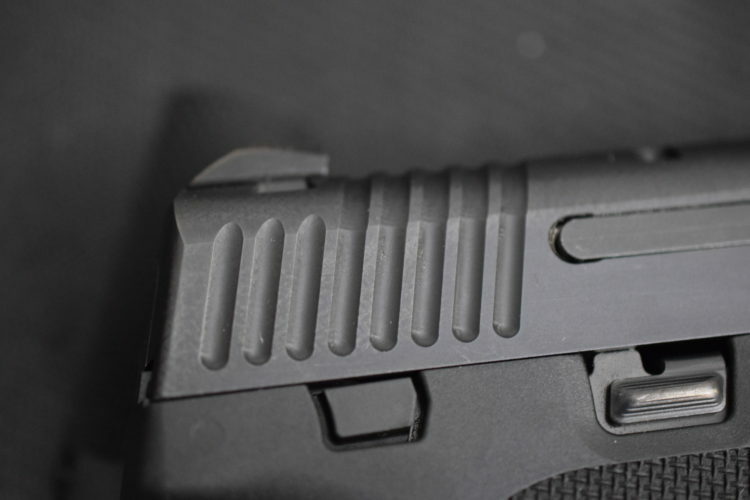 The slide serrations on the front and rear of the slide are definitely unique to this pistol. They are crude cutouts that wrap around the slide, over the top. 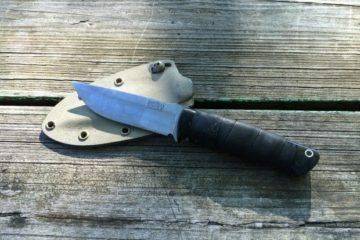 The serrations are not sharp on the edges, but the rounded cuts give you a good purchase on the slide, wherever you decide to grab it. They are unique, by design, but also allow you to grab the slide easily. There are plenty of people who have complained that they don’t FEEL aggressive, even though they work well. 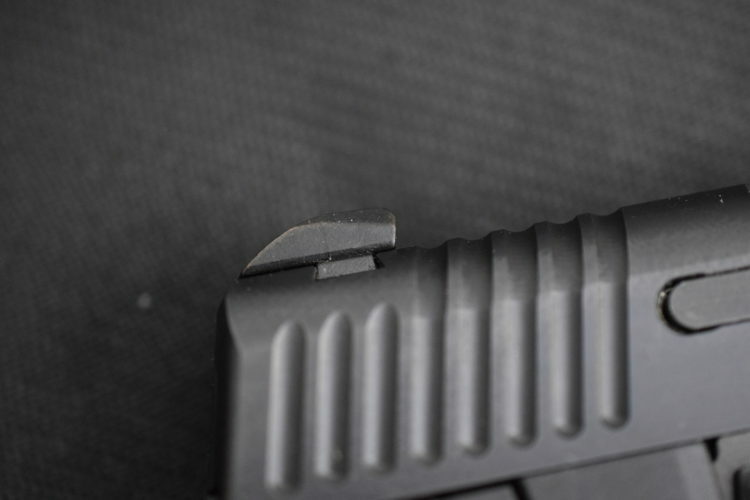 i don’t see an issue with the design of the slide serrations, but I will say that they are different and they may be one of the biggest eye catchers when you first see this pistol. When I got my Honor Guard, I got two magazines with it. One was a flush fitting 7 round magazine and the other is an 8 round magazine with a spacer to fill in the grip space. 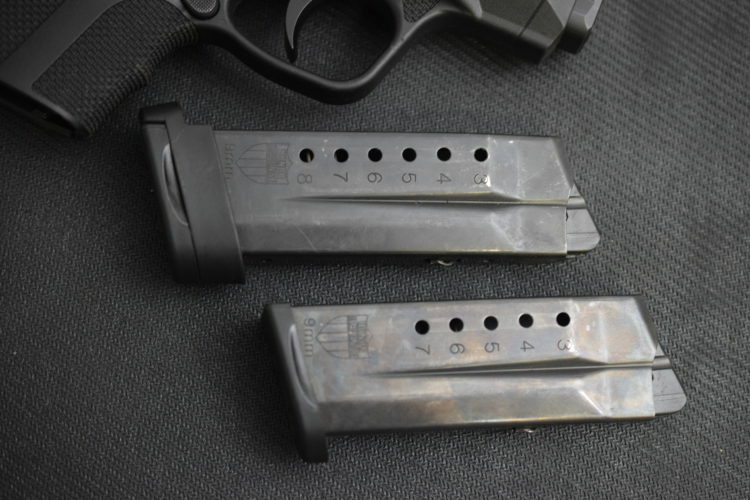 The magazines are a non-reflective black and closely resemble the design of the M&P Shield magazines with a difference in the lockup method. You will notice that the magazine has a nub at the front of the magazine where the magazine is locked in place. This design is not too different from the magazine catch system used in the FN pistols. From what I can tell, the magazines lock in tight and the system is pretty robust. The magazine springs are pretty tight right out of the box, but smooth out after being fully loaded a few times. 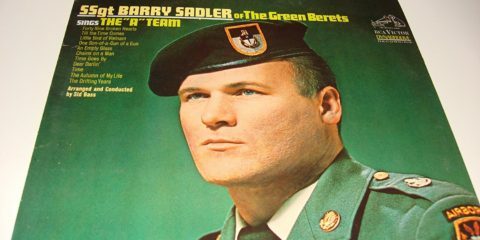 I would also note that they beveled the sides of the magazine base. This little addition is designed to allow the shooter to rip the magazine out of the magwell if they should need to during a malfunction. The sights of the Honor Guard pistol are all metal and pretty simple, but have a little addition that makes them ideal for concealed carry, which is what this pistol was designed for. 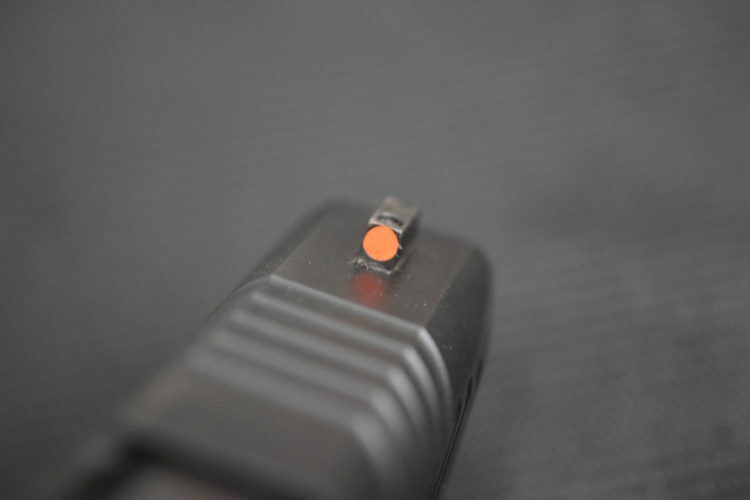 The front sight features a bright orange dot while the rear sight features two white dots to flank the orange front sight dot. 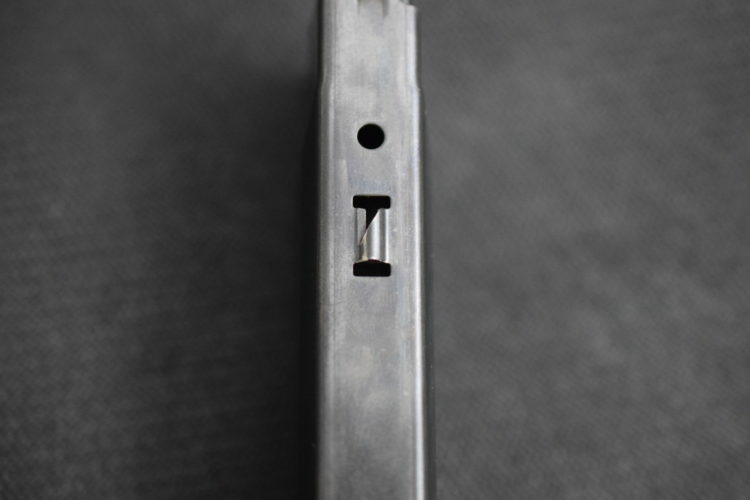 The rear sight has a reverse sweep to prevent snagging the sight while taking the pistol out of a holster or pocket. 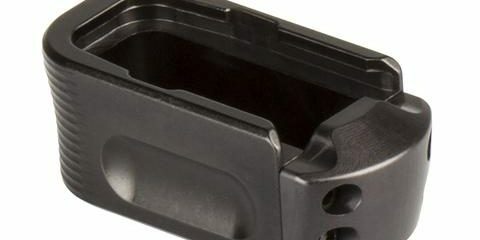 The rear sight also has a shelf on the front to enable to the user to manipulate the slide against a belt or holster if they should only have one hand to use. 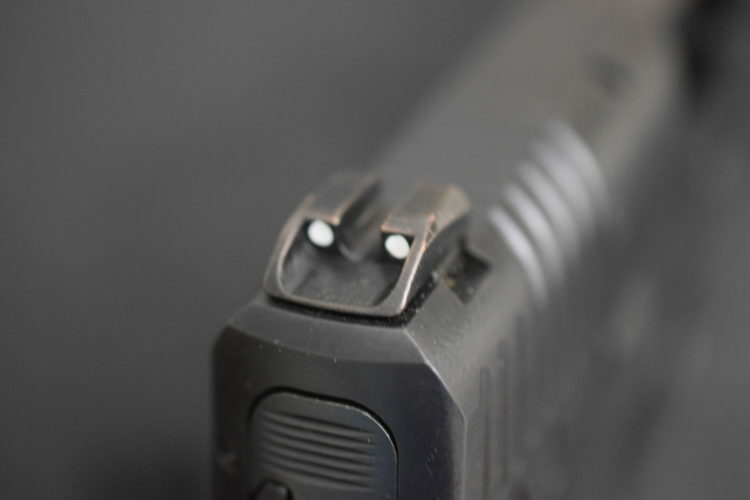 The sights are also compatible with the sights of the Glock 42/43 because Honor Defense recognized that people want to be able to change their sights. What better way to answer the needs of the individual than to have sights with a huge aftermarket already? 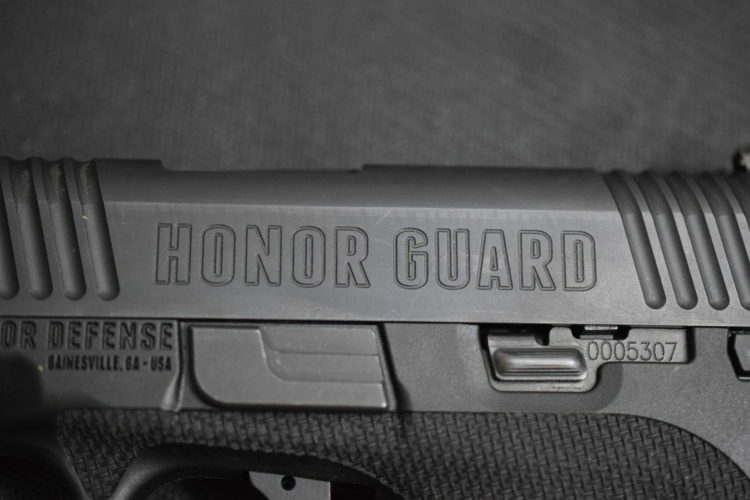 Many people who have reviewed the Honor Defense pistols have spoken about the HONOR GUARD label on the slide as being an ugly banner. 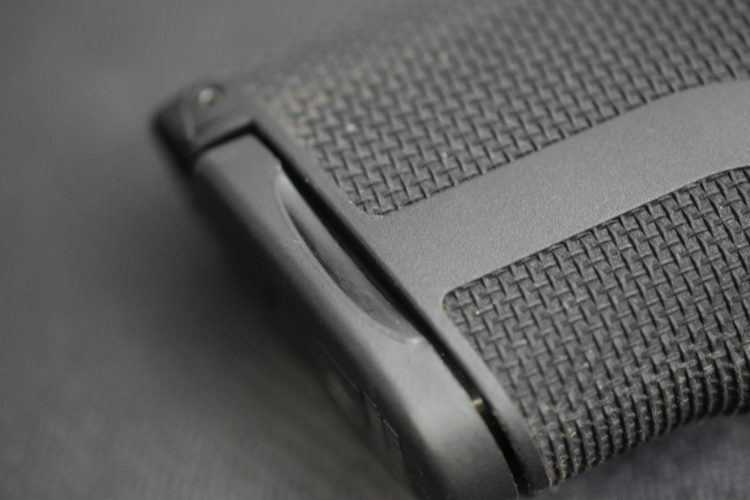 The lettering covers most of the gap between the slide serrations, and I never saw it as a bad thing, but apparently people do not like that it is so big. To be fair, I think that Honor Defense may have just put their Seal on the slide if they knew people would get so upset over a simple cosmetic feature. They actually will sell you a slide that does not have the BANNER on it, if you should see it as being so offensive. For me, I like the lettering because it gives me the sense that they take a good amount of pride in their pistols instead of just slinging them out with low quality features and parts. The features of the Honor Guard, big and small, are numerous and have an interesting reason for being there. 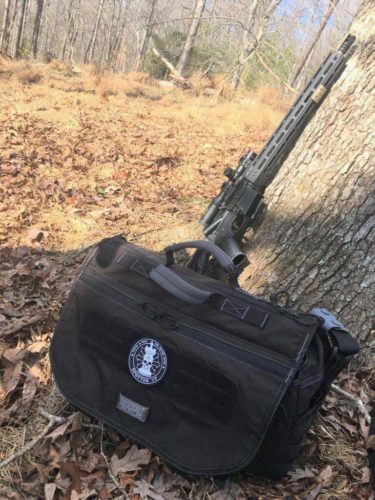 Honor Defense was very committed to being different from the rest of the firearms manufacturers, and they took their time to get everything right. But no matter how much you do to try to make a gun just right, someone will always find something to not like about it. Based on features alone, I think Honor Defense did something revolutionary. It isn’t everyday that a small company produces a firearm that actually answers the needs of the American market right out of the box.